John Taylor, an undertaker, has been imprisoned for seventeen years for murdering his wife, even though the police have found no body; I suppose that an undertaker is in a uniquely convenient situation for disposing of a corpse without trace. When I read the story, it reminded me of the murder of Muriel McKay, whose body was also never found, though two men were convicted of killing her (police believed that her assassins mistook her for Rupert Murdoch’s then wife, Anna Murdoch, who is also a writer). Such murders stick in the mind because it is so rare for the body not to be discovered. Even where there isn’t sufficient evidence to convict without one and the murderer appears to have got away with it, bodies have an odd habit of turning up unexpectedly, sometimes many years later. I’m thinking now of the ‘lady in the lake’ murder of Carol Park, who disappeared in 1976, but whose body was not found until 1997, by which time her husband, Gordon, who was then convicted of her murder, had married twice again. The new Pompeii and Herculaneum exhibition at the British Museum shows us how durable human remains are – though these particular skeletons were preserved by unusual natural phenomena. Yet well-preserved ancient skeletons from the past are often found in ordinary graves – the recent discovery of Richard III’s almost intact bones offers a good example. Even unceremoniously-buried bones, such as those found in an old charnel pit discovered during this year’s Crossrail excavations and thought to date from the time of the Great Plague of 1665 show remarkable resistance to the passage of time. The supreme example, of course, of a body which has stood the test of time and miraculously appeared millennia after his demise is that of ‘Ötzi the Iceman’ in the Ötztal Alps; ice is a great preserver. You’d think it would be easy to conceal a body for ever, but clearly it isn’t. No doubt some murderers have managed to do it; some will even have committed the ‘perfect crime’ – i.e., one that has not been discovered. This is a macabre kind of virtuoso performance that can never be boasted about or celebrated, though no doubt some will have been unable to resist and fallen into the trap of talking about the deed, thus giving themselves away. Bodies: the stuff of crime writing; tough and surprisingly persistent in making their appearance. Like the 2 Princes in the Tower! They never found their bodies – did they? Or the Moors Murder victims…..it’s all a reminder of the tiny line between life and death…. *shiver* Very evocative pic!! I love this piece, thanks so much for sharing. There are so many ways of disposing of a body and yet people are so unimaginative really. I guess most murders are not planned and so panic causes the murderer to make do with whatever is to hand. A planned murderer may well come up with an ingenious method of disposal, but as we all know now, there is virtually NO way to not leave a trace of oneself behind somewhere…..so I wonder if in the future there may never be such a perfect method of hiding a crime. Enjoyed this no end. Thanks. I was expecting to be arrested any moment. All I said was that I was planning a murder…..slapped legs and in the naughty corner with a D on my hat! Oh yes, it is fun. I love it all. Yes, it’s been a lively voyage of discovery for me! That is what life is all about….the journey. The destination is pre-ordained but not the getting there. It sounds to me as if you have just the right imagination for crime fiction! Decades of leaf mould have certainly concealed bodies before. We have conversations about disposing of bodies, both the means and the place, which are interesting theoretical incursions into the mind of the murderer. The fact that you are considering teeth and prostheses suggests that you are already well along the body-disposal path! 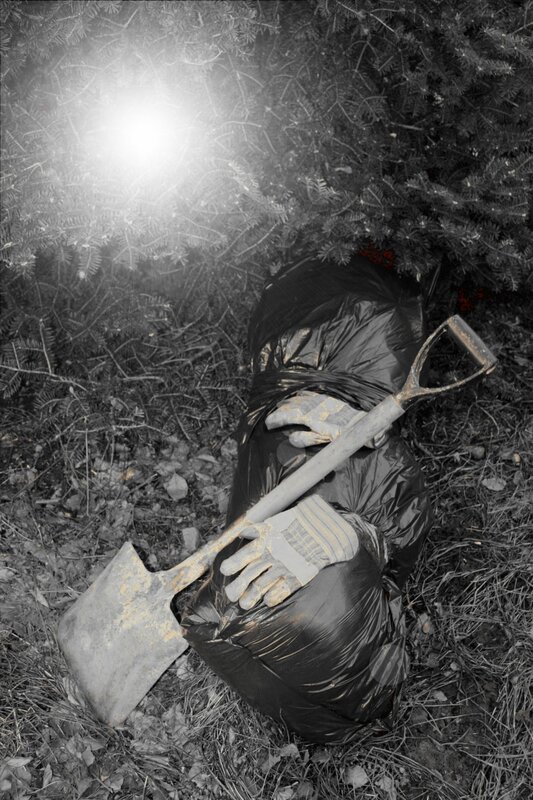 😉 I must admit, I’m astonished by how stupid some killers are; they ought to try writing convincing crime fiction, which might make them realise that the successful disposal of a corpse is fraught with many risks of discovery/detection. It is also much better to kill in fiction, rather than in reality, as the penalties are much less severe (a poor review, for example!). The Body Farm (a real place), by Patricia Cornwell is a great source of information and although the CSI TV series is also good in a general way, there are lots of mistakes and stretches of fact and possibility in (especially) the series which, I am sure, gives some people who murder the mistaken idea that there is a perfect crime and perfect disposal of a body. However, with DNA and the study of blow flies and how the body decomposes in warm/cold/covered/uncovered locations, it is really something which should not be entered into lightly….I think even acid leaves residue so there will always be something left and how would you know if you had left some evidence of yourself behind which might not be detectable today, but in 10. 20,30 years time, something can be found. Just when you are getting comfortable in the knowledge you’ll never be caught, there is a distant siren, a screech of brakes and that dreaded bang on the door…. You have touched rather brilliantly upon the cold case scenario. I’m fascinated by the development of detection methods and their successes years down the line. There is something incredibly satisfying about the resolution of such cases; that awful word ‘closure’ is perhaps most apposite under such circumstances. Thanks for your evocative comment, which had me listening beyond the dog’s snores to the outside world and the possibility of distant sirens! I left a reply to the above and it seems to have been lost due to the page having a funny five minutes. I was talking about Myra Hindley and the body of that young lad still missing, Keith someone – sorry cannot recall his surname. So much would be possible today if he were found and I am sure they would find evidence of what she and Ian Brady did. The person who kidnapped Susie Lamplou all those years ago may well be content in the knowledge he is away scot-free but who is to say that in years to come they find her or her remains and can pin-point what happened, where and when and who killed her and how. I think I would be very uneasy every time they release more detail about new detection methods. Amazing what the Ice man revealed about his place of birth, diet and illnesses and how he died. If I were growing up today I would love to go into forensics and then later take up writing. When I was younger it was harder for girls to get into such professions, had we even known about them back then. So fantastic, interesting and absorbing work. Oh and rewarding as you say, especially for those left behind constantly in a state of anxiety and wonder. I’ll leave you in peace now Christina. Thanks for a wonderful exchange. I shall return (sounds ominous), soon. Enjoy your week. I shall suit up and creep in when you least expect it.